High school students through Tustin Connect can dual-enroll and take tuition-free college courses. These college courses count for both high school credit and for college credit. The image below shows a sample pathway (Beckman H.S. early college pathway) for students who desire to earn transferable college credits for UC and CSU colleges. 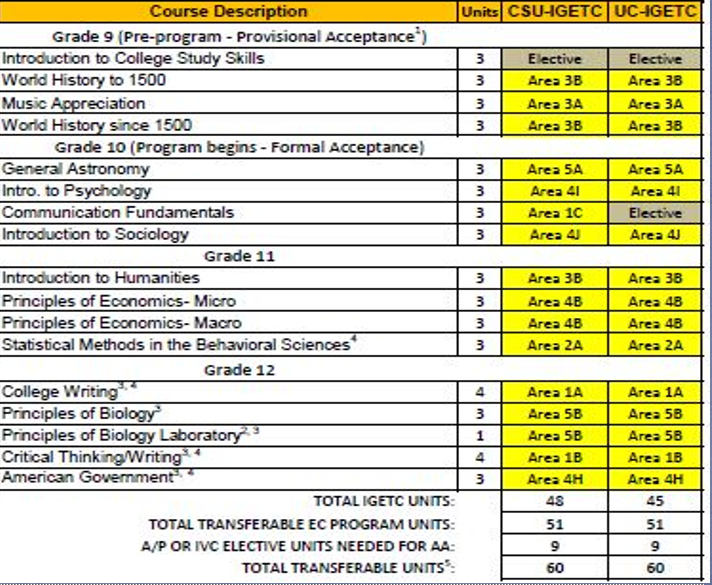 View the IGETC links at the bottom of this page for more specifics about course requirements for UC and CSU transfers. Click here to view the Irvine Valley College IGETC advising form for students who wish to ​transfer to a UC school from IVC. Click here to learn more about UC transfers from IVC.